Being a blogger means you can get involved with the most amazing campaigns like this one I'm bringing you today. Solopress has teamed up with Little Havens Care Hospice and recruited bloggers to raise money for the amazing charity that provides care for young children who don't expect to reach adulthood, they specialise in helping these children make amazing memories. For me my memories are everything and I love nothing more than documenting them (one of the reasons why I started this blog too). 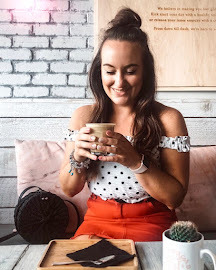 I have an abundance of printed photos of my travels, from my childhood, holidays galore and I love nothing more than flicking through them and remembering the incredible times that I've had over the years. I know that I am extremely lucky to have these memories but I also know that some people aren't as lucky as me which is why the Making Memories campaign is so important. Solopress very kindly sent me a little Making Memories parcel which included a photo album filled with some of my favourite memories from Australia like holding a koala, chilling with a kangaroo, flying over the Great Barrier Reef and visiting Ayers Rock, a selfie stick to create those in the moment memories and a One Line A Day memory book which you can record everything every single day for 5 years. How amazing! I was literally made up when I opened this, how generous and I can't wait to get started writing in my new diary! Now how can you, yes you get involved in this amazing campaign? All you need to do is share a picture of your most favourite memory on twitter with the hashtag #alittlememory and nominate a friend to do the same. For every tweet with the hashtag and a friend nomination, Solopress will donate £1 to Little Havens Care Hospice. How amazingly easy is that? I've already started with my tweets (@hellotasha18) and nominations so now you just need to carry it on! One of my favourite memories is the photo above. My best friend Sarah and I chilling with a beer on top of The Great Wall of China. We walked a hefty stretch of the Wall that day and it was such an incredible experience and one which I will never forget. 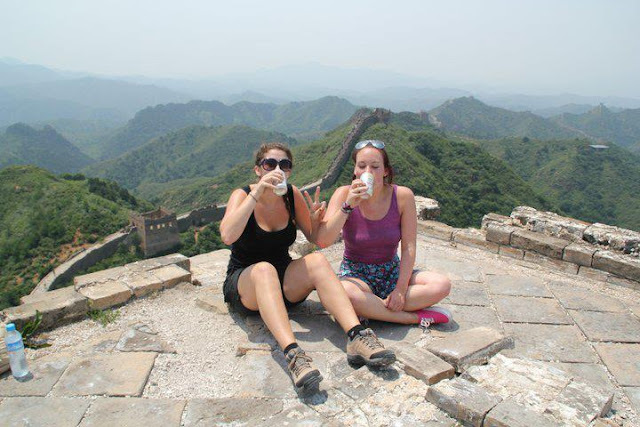 At times it was very difficult as the Wall can be quite steep and unstable but once we reached the top and I sat down and saw that view I couldn't have been happier and to experience it with my best friend was just amazing in itself. One of my favourite days ever. Please get involved guys as this is for a really great cause and you can remember all those amazing memories at the same time! Remember to tweet your favourite photo with the hashtag #alittlememory to start raising some money for this incredible charity! I'd love to know what your favourite memory is, let me know in the comments!